Based on the above, I'm guessing Dunham's dance video was more of a shoutout to Goebel's choreographing talent than Bieber. But at the same time, it shows that "Sorry" is such a great song that it transcends any personal beef with the singer. And OK, enough talking about the past; let's focus on Dunham's glorious dance video instead. I love it, because it accurately shows what I would look like if I tried to bust a move to the song myself. Honestly, who can resist shaking their entire body along to the beat? 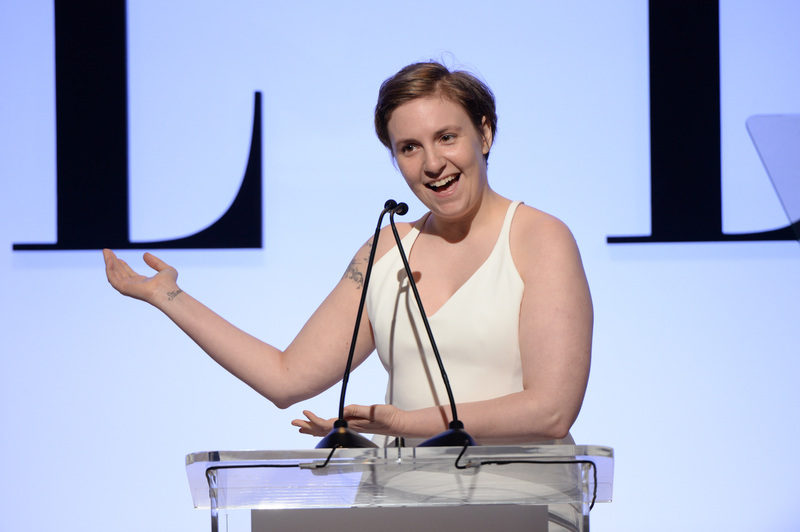 Can Lena Dunham please film a "Hotline Bling" video next — turtleneck and all? I'd like to get the mental image of Donald Trump dancing to Drake's song out of my head ASAP.